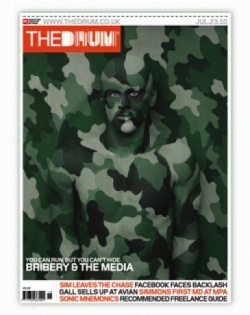 In April 2012 I was ranked in the top 50 creative freelancers in the UK by the industry leading magazine The Drum for the third year in a row. There were over 300 nominations put forward, and these were whittled down to create The Drum’s list based on the number of nominations each freelancer received, the testimonials put forward from clients and the quality of their portfolio. I was also the only freelance Web Designer in Birmingham and the West Midlands area to be given this honour. This is the third consecutive year that I have been featured in the Recommended Freelancers Guide by The Drum magazine. Read more about this accolade on The Drum magazine’s website.